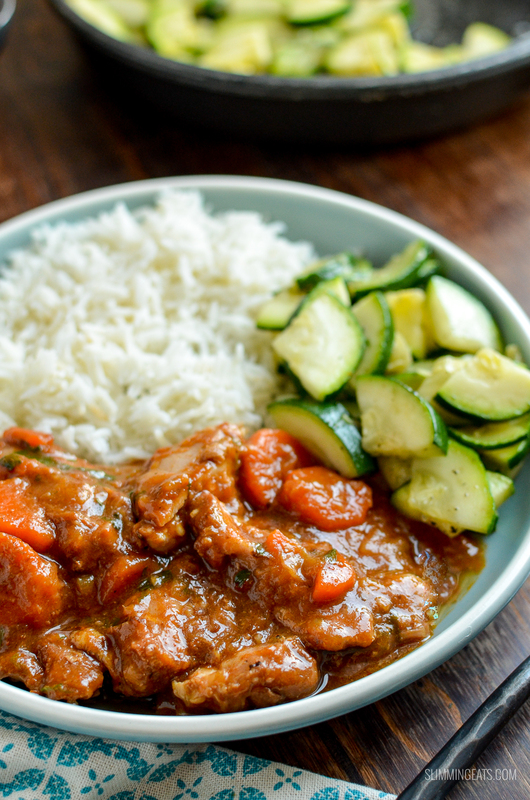 Homemade Sweet and Spicy Ginger Chicken – a delicious bursting with flavour, easy and simple meal for the entire family. 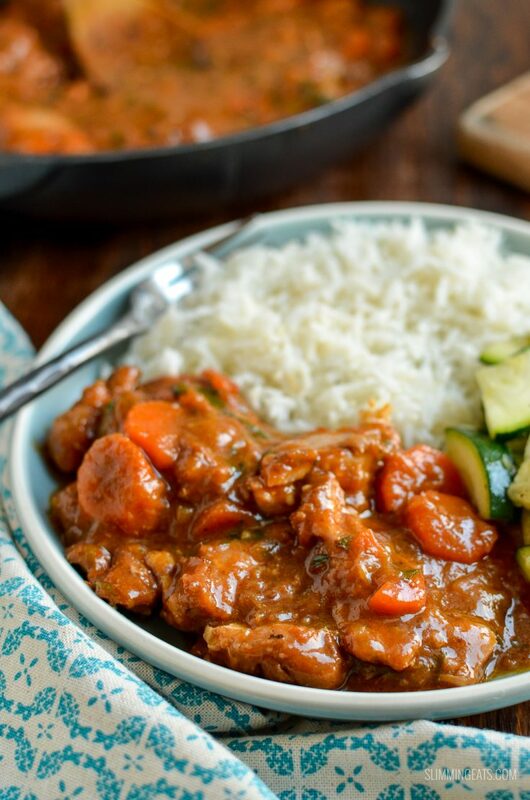 Spicy Ginger Chicken is one of my all-time favourite weekday meals and it can be cooked on the stovetop or if you are rushed for time in an Instant Pot or pressure cooker. The flavours are immense and that sauce will have everyone clearing their whole plate and maybe even going back for seconds. It pairs really well with various sides, from syn free mashed potatoes, syn free chips, rice, roasted sweet potato wedges, even just some sauteed greens or vegetables. 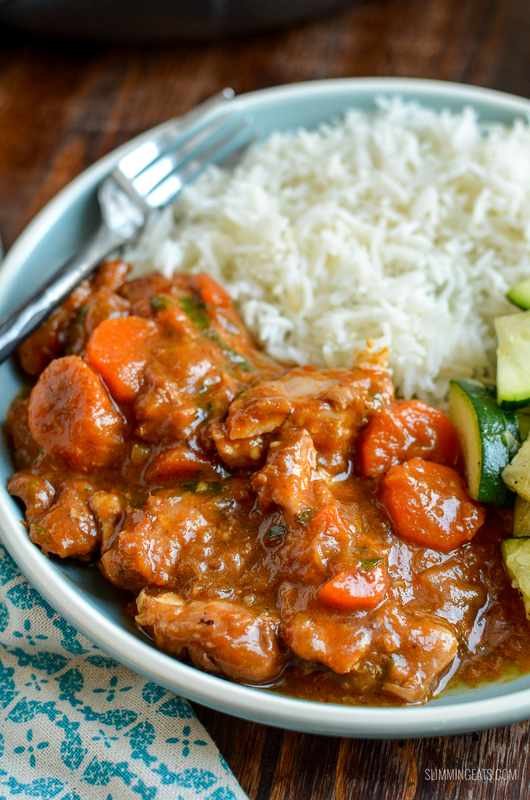 We love it with rice because it has that yummy fusion flavour. Hey, it would even go amazingly with this perfect Egg Fried Rice for an ultimate fakeaway meal. Whether you decide to cook it on the stove top or opt for the Instant Pot instructions, it’s a recipe you will return to again and again when you want a meal that is effortless while not lacking in flavour. 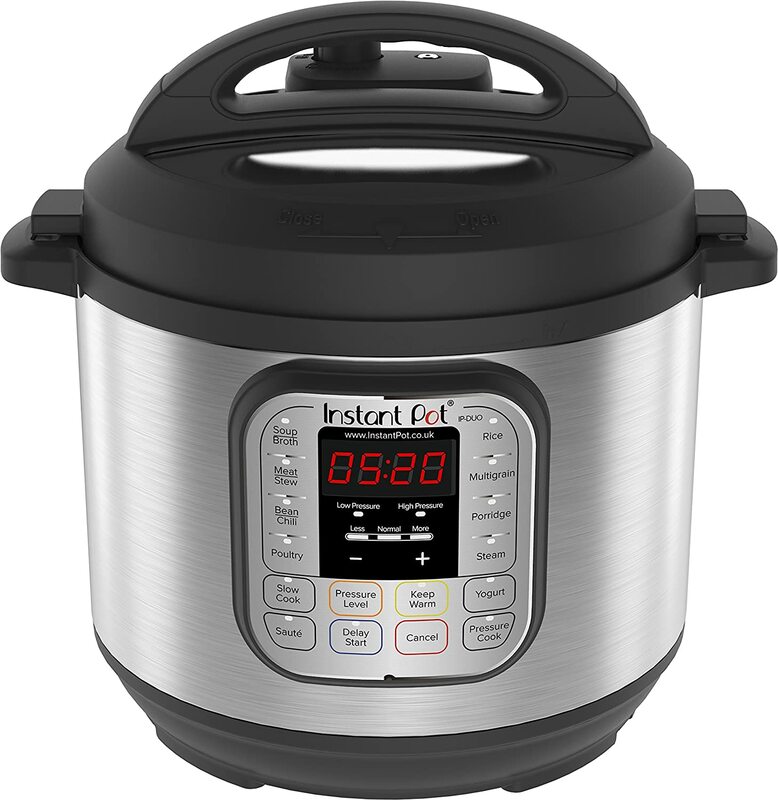 If you haven’t heard of an Instant Pot you are seriously missing out. It is the best kitchen gadget I have purchased. I love this thing so much, that I almost use it EVERY.SINGLE.DAY. It is basically a 7in1 cooker, and it slow cooks, pressure cooks, sautes, has settings for soup, chilli, rice, porridge and even makes yoghurt (I haven’t tried that yet). 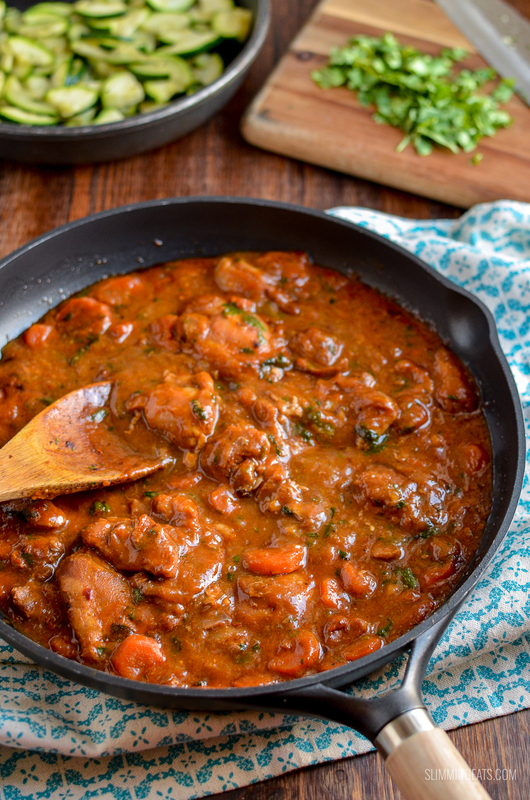 Using Apricot Jam in a savoury recipe like this Spicy Ginger Chicken, might seem a bizarre choice of ingredients, but when paired with the other ingredients like tender boneless chicken thighs, ginger, chilli and other seasonings, the flavour is truly delicious. A yummy sweetness with a spicy kick from the chilli is like a flavour explosion on the palate. 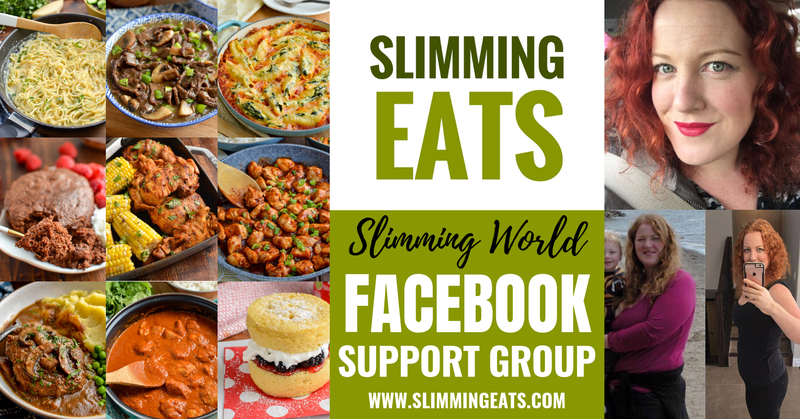 or head on over to my FULL RECIPE INDEX with over 850+ delicious Slimming World Recipes, all fully searchable by meal type, ingredients, syn value etc. 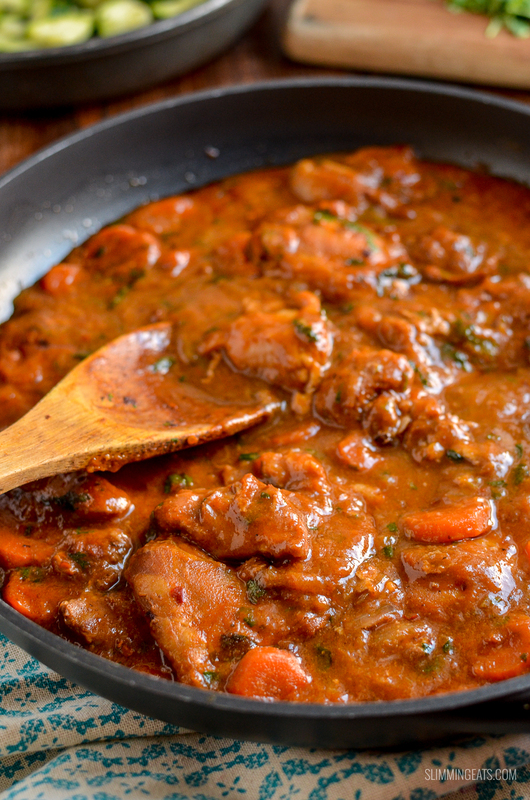 How can I add a 1/3 speed foods to this Spicy Ginger Chicken? 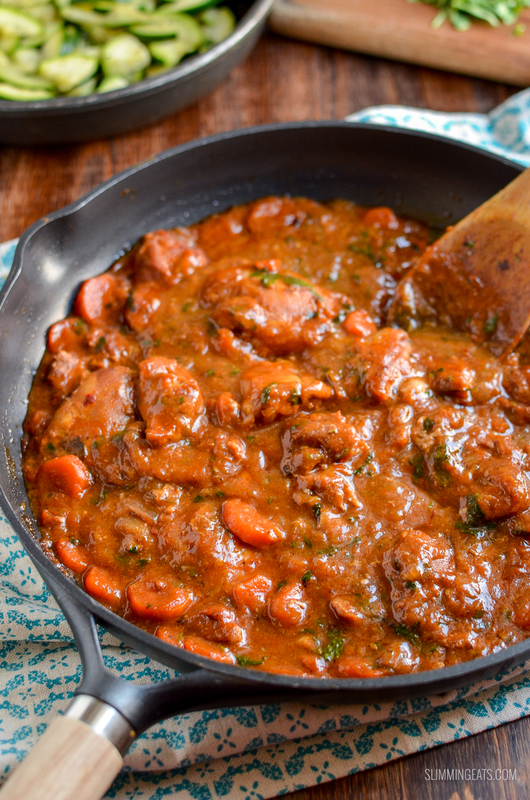 As well as the carrots that go in this recipe, I love to serve this alongside some simple sauteed courgette (zucchini), it’s super quick to make. I just slice one large courgette in half, and then slice each half into half again, and chop. Add to a pan with a little cooking oil spray and some salt and black pepper and saute for a couple of minutes, it’s as easy as that. Not keen on courgette? Check out some of these other yummy speed sides. This recipe is also perfect for freezing if you are lucky enough to have any leftovers of course. If you want some to freeze, it’s a great idea to double up on the ingredients, make a large pot and then you can put some in some freezer containers and freeze for another day. To heat up, I fully defrost and heat in the microwave or over a low heat in a pan until heated through. Easy Peasy!! Add the chicken thighs to a large bowl, with the onion, garlic, ginger, and spices and mix to evenly coat. Spray a frying pan over a medium high heat with some cooking oil spray. Add the chicken and onion mix and fry until lightly golden. Add the red chilli, apricot jam, carrots and stock. Bring to a boil and then simmer for 40 mins until the chicken is lovely and tender. Mix the cornstarch with a little water to make a slurry, add into the pan and stir till the sauce is thickened. Season as needed and stir through fresh coriander. Set instant pot to saute mode, spray with some cooking oil spray. Once it displays hot add the chicken and onion mix and fry until lightly golden. Stir in the red chilli, apricot jam, carrots and stock. Add lid (close valve if not self sealing), set to manual high pressure for 8 minutes. Once finished cooking, allow the pressure to release naturally for 10 minutes, and then release any remaining pressure. 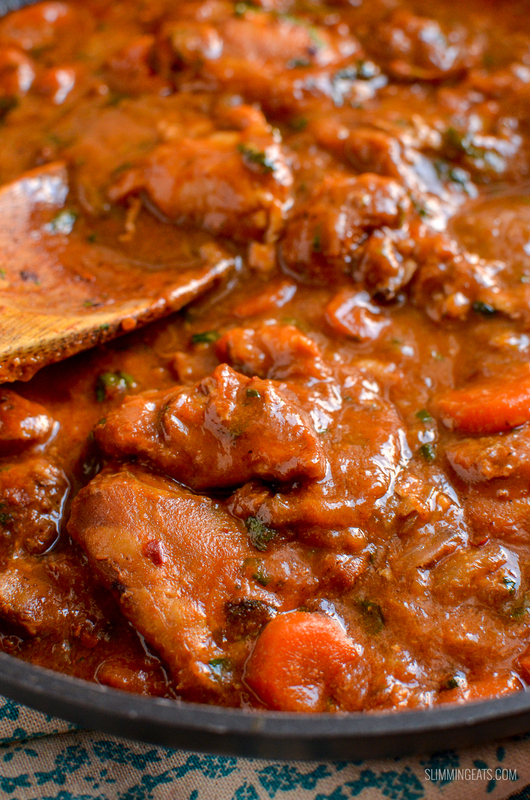 Carefully spoon out the chicken thighs with a slotted spoon. Stir into the sauce and stir until thickened. Add back in the chicken thighs, season as needed and stir through fresh coriander. Always looking for new things with chicken. Will def be trying this and lemon chilli chicken. Thanks! Having VERY successfully made this recipe with chicken, I’m now going to adapt it for my Vegan day by using firm tofu instead of the chicken. I haven’t worked out exactly how I’ll do it yet apart from macerating the tofu in the onion, garlic, ginger, spices, and the chili from step 3. I’ll let you know how I get on. The sauce is delicious and well worth a bit of juggling to go with the tofu. Made this tonight and loved it! Thanks! Could you use a different jam instead of apricot? If so which flavour please.